We are happy to announce the winning pictures of Wiki Loves Monuments 2012! A little less than a year ago, volunteers from all over the world started working on the 2012 edition of Wiki Loves Monuments – the largest photo competition in the world. More than 350,000 images have been submitted by over 15,000 people for the 2012 competition in countries all over the world. From 33 participating countries 324 images were submitted for the international finale and considered by the international jury. The photo that received the highest ranking by our international jury is a photo from the Tomb of Safarjung in New Delhi, India. The photo plays with the light and gives a wonderful contrast between the darkness of the room and the lighted tomb, giving it a dramatic effect. 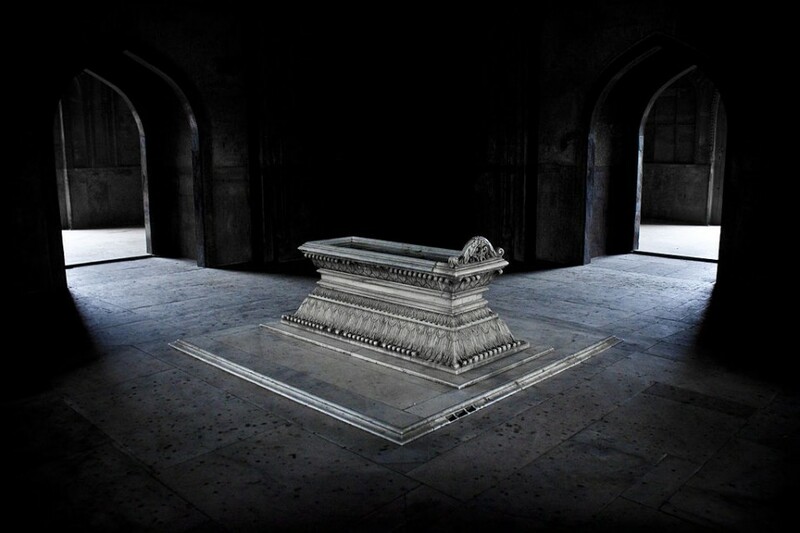 1st place: (English) Safdarjung’s Tomb, a garden tomb with a marble mausoleum in New Delhi, India. It was built in 1754 in the late Mughal Empire style, and was described as “the last flicker in the lamp of Mughal architecture”. Below you will find the rest of the top selection the international jury has made. We’re very proud of this beautiful and diverse selection of monuments – showing the diversity of the cultural heritage in the participating countries. It is especially interesting to see that most of the top-15 prize winning photographers are users that did not participate before which confirms that adding photos is a low threshold way to participate in Wikipedia. All prize winning photos are placed in a special context or looked at from a special perspective. The photographer of the Aquaduct of Segovia has shown, for example, that this aquaduct can be photographed from multiple angles very beautifully (see his other submissions) but this one clearly came out in a special way. 2nd place: (English) The Aqueduct of Segovia (or more precisely, the aqueduct bridge) is one of the most significant and best-preserved monuments left by the Romans on the Iberian Peninsula. It is probably the most important symbol of Segovia, as is evidenced by its presence on the city’s coat of arms. (Spanish) El Acueducto de Segovia (en realidad el puente del acueducto) es uno de los monumentos más significativos y mejor conservados de los que dejaron los romanos en la península ibérica. Se trata probablemente del símbolo más importante para los habitantes de Segovia, hasta el punto de figurar en su escudo. And while some monuments may be smaller, and some haven’t been in use for ages – there are also living monuments, such as the rice terraces of Batad. While they were built more than 2,000 years ago, they are still in active use and being maintained that way. 3rd place: (English) Built over 2,000 years ago, the Rice Terraces of Batad is one of the four clusters of rice terraces in Ifugao province that is identified as a UNESCO World Heritage Site. (Filipino) Ginawa may 2,000 taon na ang nakararaan, and Payo ng Batad ay isa sa apat na kumpol ng mga payo sa lalawigan ng Ifugao na kinikilala bilang UNESCO World Heritage Site. All monuments are special in their own way, and we invite you to enjoy the full selection. You will find more great images in the jury report with the 42 best photos from the international competition. Also you can indulge yourself in cultural heritage from all corners of the world on the page with the winning pictures in all national competitions. 4th place: (English) A château, developed from the original castle, situated in the commune of Maintenon in the Eure-et-Loir département of France. It is best known as being the private residence of the second spouse of Louis XIV, Madame de Maintenon. (French) Ce château, adapté d’une construction existante, est situé dans la ville de Maintenon, en Eure-et-Loire. Il est notamment connu pour être la résidence de la seconde épouse de Louis XIV, Madame de Maintenon. 5th place: (English) Rotonda Foschini, the internal court of the Teatro Comunale (”city theatre”) in Ferrara was built at the end of the 18th century. The court was accessible by carriages and, entering from Corso Martiri della Libertà in front of the Estense castle, allowed to reach Corso della Giovecca. (Italian) La Rotonda Foschini, il cortile elittico interno al Teatro Comunale di Ferrara, costruito alla fine del XVIII secolo. Il cortile era accessibile dalle carrozze ed, entrando da Corso Martiri della Libertà di fronte al Castello Estense, permetteva di raggiungere Corso della Giovecca. 6th place: (English) The Taj Mahal, is a mausoleum located in Agra, India, that was built under Mughal Emperor Shah Jahan in memory of his favorite wife, Mumtaz Mahal. It is one of the most famous Indian buildings and considered a symbol for love world wide. 7th place: (English) The Basilica-Cathedral of Our Lady of the Pillar is a Baroque-style basilica celebrating the first apparition of Mary, before her assumption, to Hispanic people. This would have happened upon a pillar around which later a chapel was constructed to preserve it and give witness of her apparition. (Spanish) La Basílica-Catedral de Nuestra Señora del Pilar es una basílica de estilo barroco que celebra la primera aparición de María, antes de su Asunción, al pueblo español. Apareció supuestamente sobre un pilar, alrededor del cual luego se construyó una capilla para preservarlo y que diera testimonio de la aparición de María. 8th place: (English) The Argentine cemetery holds the remains of 237 Argentinian soldiers fallen in the Falklands War, of which 123 are not yet identified. Their graves stating “Argentinian soldier known only by God” are a memorial of one of the most tragic moments in the modern history of Argentina. (Spanish) En el cementerio Argentino yacen 237 soldados fallecidos durante la Guerra de las Malvinas, de los cuales 123 no han sido identificados. Sus tumbas marcadas con “Soldado argentino sólo conocido por Dios” recuerdan uno de los momentos más tristes de la historia argentina reciente. 9th place: (English) Hermann Castle in Narva stands on the Estonian border, looking across the river at its Russian twin, Ivangorod. Parts of current castle originate from ca 1300 AD. It suffered a lot in WWII and was restored after that. (Estonian) Narva Hermanni kindlus seisab Eesti piiril, otse üle jõe jääva Ivangorodi kindluse vastas. Praeguse kindluse vanimad osad rajati umbes 1300. aastal. Kindlus sai Teises maailmasõjas kannatada ning restaureeriti hiljem. 10th place: (English) The Chicago Theatre is built in 1921 and a landmark theater located on North State Street in the Loop area of Chicago. Along with the other B&K theaters, from 1925 to 1945 the Chicago Theatre was a dominant movie theater enterprise. 11th place: (English) The famous windmills nearby Kinderdijk are well known and recognized by UNESCO as world heritage. The mils were part of a system that was responsible for keeping the land dry. The mills are a symbol for the Dutch fight against the water. (Dutch) De beroemde molens bij Kinderdijk zijn beroemd en erkend door UNESCO als werelderfgoed. De rij molens was onderdeel van een systeem dat verantwoordelijk was voor het drooghouden van de polders. De molens zijn een symbool voor het Nederlandse gevecht tegen het water. 12th place: (English) Former vodka distillery at the Komorniki estate, a nobleman estate established in 15th century, and modernised in 19th century, inscribed in the registry of monuments of the Lower Silesian voivodeship since 2003. (Polish) Zespół dworsko-folwarczny we wsi Komorniki w gminie Polkowice (województwo dolnośląskie), zapoczątkowany prawdopodobnie w XV wieku, a następnie zmodernizowany w XIX wieku, wpisany do rejestru zabytków nieruchomych województwa dolnośląskiego w roku 2003. 13th place: (English) The Kjeungskjær Lighthouse was built in 1880 and is sited in a bird reserve. It contains a dwelling that sleeps 6 and a boathouse. The landing is connected to the lighthouse by a bridge and a concrete walkway. (Norwegian) Fyrtårnet ble bygget i 1880 og ligger i et fuglelivsfredet område. Fyret har blant annet en leilighet med seks sovekabiner og et naust. Landingen er forbundet med fyrtårnet via en bro og en støpt vei. 14th place: (English) Crypt of the baroque Altenburg Abbey in Lower Austria with mural paintings by students of Paul Troger. The buildings and the paintings of the monastery were renovated and restored in the 1950s and 1960s. (German) Krypta des barocken Stift Altenburg in Niederösterreich mit Wandmalerein von Schülern Paul Trogers. In den 50er und 60er Jahren wurden Gebäude und Malereien des Klosters renoviert und restauriert. 15th place: English) Interior view of Baptistery of St. Peter in the architectural complex of the church of San Pietro in Consavia. The Baptistery was built in 1100, inspired by the Holy Sepulchre of Jerusalem with in the middle a baptismal font from 1500. (Italian) Vista interna del Battistero di San Pietro all’interno del complesso architettonico della chiesa di San Pietro in Consavia. Il Battistero fu costruito nel 1100, ispirandosi al Santo Sepolcro di Gerusalemme. Al centro una fonte battesimale del 1500. The full jury report with the best 42 images and jury rationale. All nominated pictures for the international finale. Beautifull, Thanks to all participants! Enhorabuena a todos los concursantes, felicidades a los premiados y gracias por elegirme como segundo premio. Gracias también a todos los miembros de la organización del concurso que lo ha hecho posible. will we get some Participation certificate from Wikipedia. Preciosas imagenes Enhorabuena a sus colaboradores…. Õnnitlen võitjaid ja kõiki osalejaid! Perspektiivis oleks rõõm näha neid kauneid fotosid ka müüdavatel pilt postkaartidel. Edu edaspidiseks tegutsemiseks! Very sad that nobody has noticed this photo manipulation. Muy triste que nadie se haya dado cuenta de esta manipulación fotográfica.